The Beyond Barre result: a true total-body workout unlike ANY other in Austin! The 55-minute session consists of ballet-inspired barre work to build long, lean legs and lift and tighten the glutes, free weights and resistance bands for upper-body sculpting, a stomach-flattening abdominal series (hello six-pack abs), and an exclusive Glide Board for cardio intervals to burn calories and blast the fat! No matter what kind of shape you’re in, whether you loathe exercise, or work out seven days a week, this workout will change your body. And best of all, you’ll have a great time doing it. REQUIRED: non-stick, non-cotton Injinji Socks or Ultra Sport ToeSox (available at studio for $25). There are no upcoming “Beyond Barre” classes on this day. Loved it! Challenging and fun, but not too intense. Great workout. Great cardio workout. The glide board was more fun than I imagined. Lovely studio. This class is great for active recovery. Thanks so muc for the feedback! Our instructors strive to teach to all levels of participants, and always try to show clients how to modify any exercises if needed! Hope to see you in the studio again soon! This class was a great workout and so fun! Melissa was very welcoming - I'll definitely be returning to her classes. Lots of slide board exercises, not quite what I expected. Thanks for the feedback! 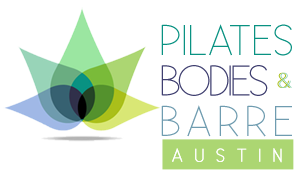 Our barre classes are unique in that we incorporate Glide Boards into the workouts, which gives participants the opportunity to get a great cardio workout while also doing traditional barre exercises. I'm sorry it's not what you expected, but I do hope you enjoyed the rest of the workout! Best instructor yet. It was my first time to this class and she was phenomenal! Great energy and helped me correct any form I was doing wrong. Best class pass class I've been to yet. Awesome feedback! Yes, Gretchen is a rock-star instructor and I'm thrilled you were able to enjoy her class! Great blend of toning, cardio and core workout. Instructor made it fun! Great cardio, toning and core workout. It was more fun than I thought being new to barre! Fabulous! So glad you could join the fun!